Here’s an excellent multi-use farm offering return on assets and attractive amenities not always found on rural property. 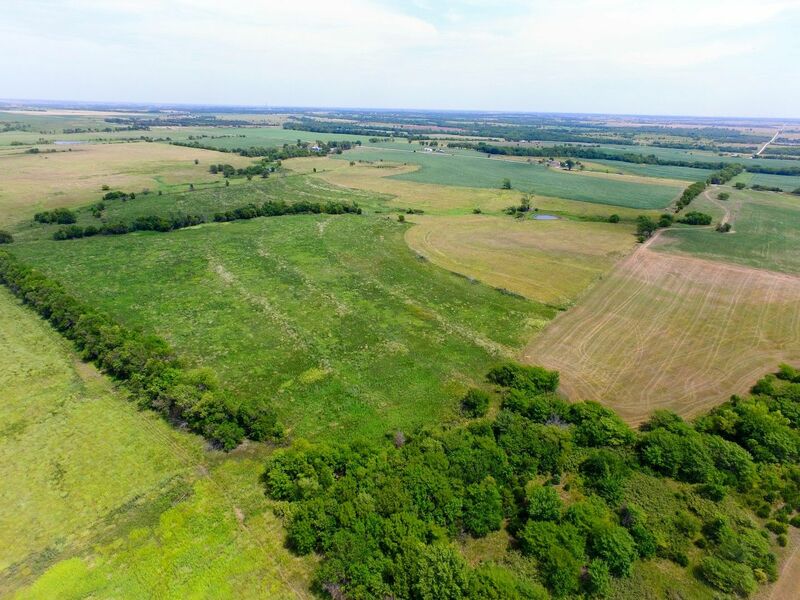 The acreage total is 231 more or less with an approximate breakdown of 58 acres of tillable farmland, 105 acres of native and brome that’s currently in hay production, 32 acres of CRP providing government income and the balance in timber, ponds and waterways. The tillable soil types are comprised of productive Summit and Aliceville varieties. There’s a soil map under the “Downloads” tab for you to view. The CRP contract runs through 9/30/2021 and pays $1,761.00 annual. There are four ponds spread throughout the property and along with the upland habitat and timber portions, make this listing appealing from the recreational perspective. Finally, this property has the rare attributes of having both rural water and electric running along the Eastern boundary making this a good potential building site. Driving Directions: From Lebo, Kansas – Go 8 miles south on Fauna Rd to 22nd Rd and turn east. Take 22nd Rd 3 miles to Iris Rd and turn south. Proceed ¼ mile and property begins on west side.